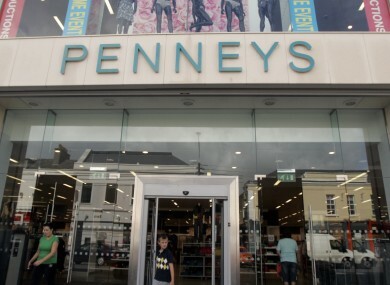 STRUGGLING US CHAIN Sears has struck a leasing deal with European fashion retailer Primark, which trades in Ireland as Penneys. Sears is looking to raise more cash, and also announced today that it is planning a rights offering that may raise up to $625 million. The lease agreements are for seven stand-alone stores in shopping centres. Sears will retain a significant presence at six of the locations. Primark will lease about 400,000 net square feet of retail space in the Northeastern U.S. and is expected to receive the space over the next 12 to 18 months. Sears has been cutting costs, reducing inventory and selling assets to return to profitability. Its biggest albatross remains its stores, which critics say are outdated and shabby. Chairman and CEO Edward Lampert combined Sears and Kmart in 2005 about two years after he helped bring Kmart out from under bankruptcy protection. The company has since faced mounting pressure from nimbler rivals like Wal-Mart Stores and Home Depot. Sears is also facing broader structural issues. Like other stores catering to the low- to middle-income customers, Sears is grappling with a slowly recovering economy that’s not benefiting all Americans equally. It’s also trying to catch up to customers who are steering clear of stores and shopping online. Sears Holdings Corp. said the rights offering will allow its stockholders to buy up to $625 million senior unsecured notes due 2019 and warrants to buy shares of its common stock. It anticipates up to $625 million in proceeds if the offering is fully subscribed and closes as planned. Email “Primark strikes deal with Sears to open its first US stores ”. Feedback on “Primark strikes deal with Sears to open its first US stores ”.